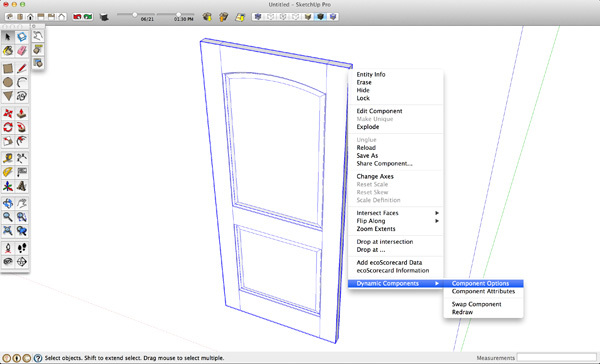 The Product Connect plugin is a suite of tools that are simple and intuitive, just like SketchUp. Designers using SketchUp use Product Connect to find real product models, access key product information and create organized product reports. With Product Connect its possible to design smarter, earlier in the design process. Over 2 million people use SketchUp every week to sell design ideas and turn them into real projects. SketchUp is especially popular during the initial stages of the design process when customers and stakeholders are still experimenting with ideas - including product and material selections. The report contains all product information and specifications and can be viewed or edited in your favorite spreadsheet application. 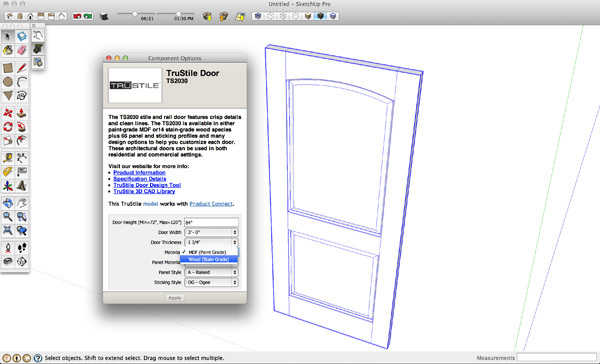 If you need to move outside of SketchUp to specify your doors, TruStile has you covered with 2D CAD files, Revit files and Architectural Specifications to help you get the job done.